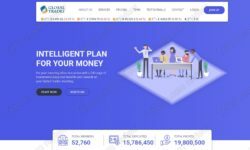 In this review we prove that the investment program Global Trades is a scam. Global Trades is an investment platform. It is not entirely clear how the profits are supposed to be generated, apparently through some automated trading strategies. 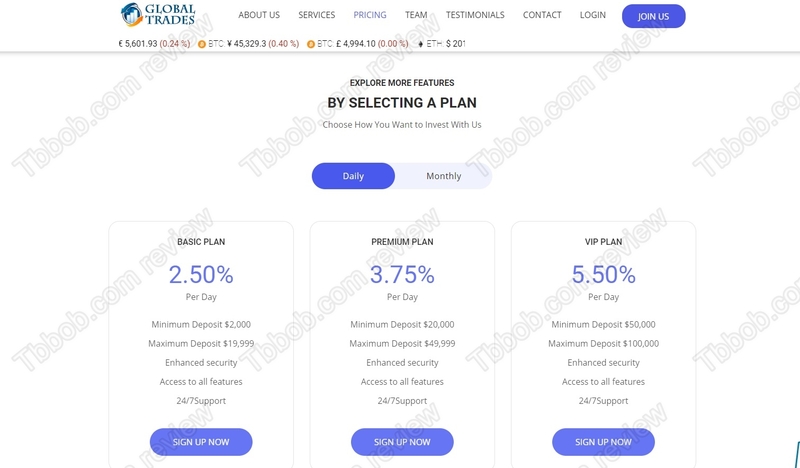 The main point is that there are investment plans with up to 5.5% daily returns. Is Global Trades an easy way to make money? We say it all the time, in cases like this you just have to look at the numbers. Nobody will make you for free 5.5% daily, not even 2.5%. There is no free money. Moreover, no legit business can make you that kind money even for a fee. Because it is just impossible in our economic reality. Only scams display these numbers. Global Trades is a scam, which can be confirmed pretty easily. There supposedly is a team of experienced people behind Global Trades. But as you can see on our picture, the team is fake, photos are stock, everything is made up. Also, it is not true that Global Trades is licensed and certified. It is an unlicensed investment program that is illegal most countries. 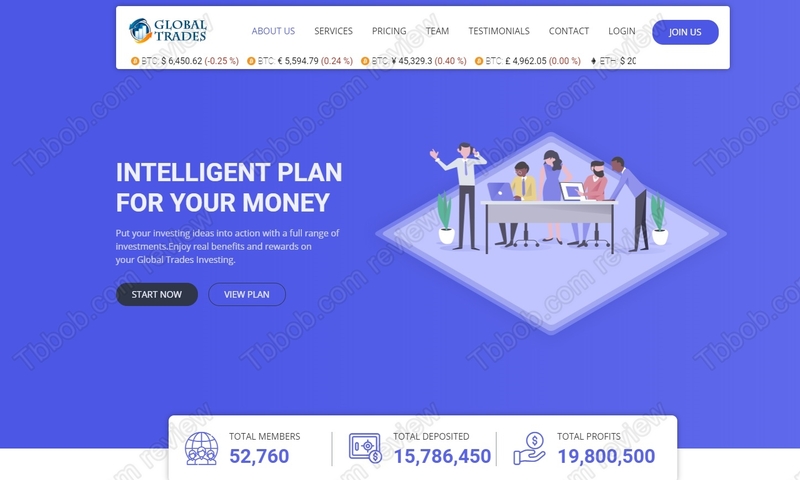 Speaking of lies, the Finance Magnates logo has nothing to on the website of Global Trades, they have no rights to use it. Another proof that Global Trades is a scam is in the testimonials. They are fake, made with stolen photos. Check our picture to see a proof. These people don’t even know about this investment program. Global Trades is a global scam, it cannot pay the profits it promises. As a Ponzi scheme it is designed to collapse quickly. If you want to try to make money in real trading, start learning on a free demo with a regulated broker. You will see what kind of profits are possible and what it takes to achieve them.